Ana Barbour who co-founded Oxford Contact Dance with me about three years ago, died on Monday (6 November 2017). I had known Ana since childhood – both of us had attended Bloxham Primary School in north Oxfordshire; both our parents where part of its Parent Teacher Association. Our lives had roughly moved in parallel tracks: we also attended the same secondary school, art school, and indeed lived in the same university town – Brighton – although while she studied Art History & French, I studied Computing. But Ana and I were separated by a year at school and so our lives crossed repeatedly but were apart. 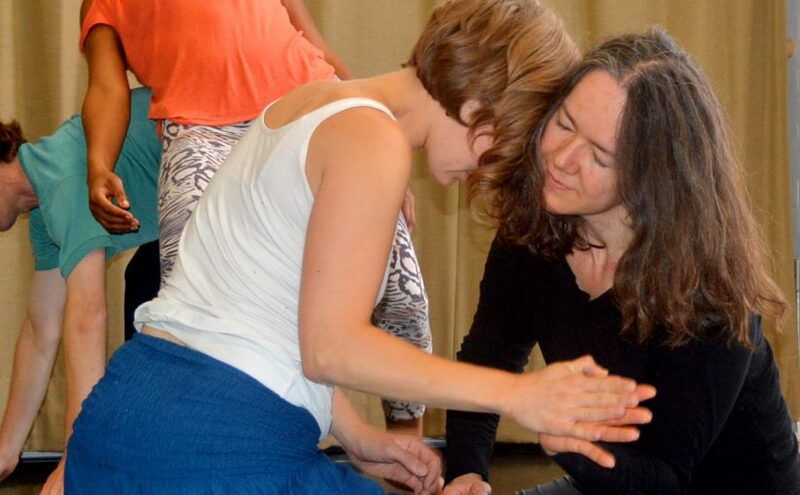 Three years ago, I became interested in dancing contact improvisation and since there were no classes or dance sessions in Oxford, I contacted Ana at Oxford Dance Forum. We held a workshop for contact improvisation in 2014 at the Old Fire Station in Oxford, and it was the beginning of Oxford Contact Dance. Ana and I planned the workshop over the phone and by email but it wasn’t until we met at the workshop that her suspicions were confirmed that I was the Andrew who she’d known from childhood. Ana had no hesitation in mentoring dancers and their dancing dreams. I was struck by Ana’s resilience too – as when attending the workshop, she’d recently had a hip replacement operation and was due to have a similar operation on the other one. Yet Ana still danced with as much – or more – vigor and skill than other dancers. I’ll miss you Ana Barbour. Next Next post: Morris Dancing meets Contact Improvisation? !